Delivering few surprises, Brian Nygaard announced new first division team, Leopard-Trek in Luxembourg today. The team took shape at the Tour de France last year. After Andy Schleck finished second, he announced that he and his brother Fränk would join a new team based in their home country. 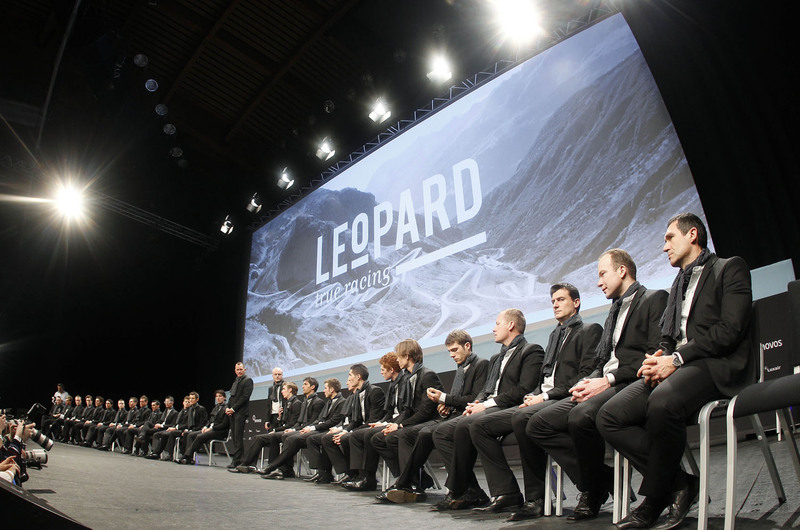 Their names and other star signees, including Fabian Cancellara, were rumoured to be with the team, so it was no surprise when the press releases trickled out of Luxembourg in the autumn. Similarly, it was no surprise when General Manager Nygaard announced the team and its name this afternoon. The name Leopard had been speculated since December, even if Nygaard denied it initially. Today, Nygaard confirmed his bike sponsor, Trek as the team’s secondary title sponsor. Nygaard did announce some other important news. Natural gas company Enovos agreed to sponsor his new team for the next three years. It joins Trek and Mercedes-Benz Luxembourg as the team’s main sponsors. In a similar setup to the initial years of teams HTC and Garmin, the team’s main sponsor comes from a wealthily businessman. Luxembourger Flavio Becca put his passion for cycling into creating the team. He committed to sign the Schlecks, helped secure sponsors and with the advice of Team Manager Kim Andersen, hired Nygaard. Nygaard worked as the press officer for Sky and CSC/Saxo Bank before taking his new post. He abruptly left Sky after last year’s Giro d’Italia to join Becca and Andersen and help build the 25-man team (see below). The 25 riders and the team’s kit will be presented this evening at 20:00. However, the full list is already known and registered with the International Cycling Union (UCI), and the team kit was leaked to the media early this morning. Nygaard borrowed from his former team Sky, using a simple design that is distinctive in its lack of sponsor names.